bad plane bad plane you killed a poor bird what did it ever do to you? does peta know about this? 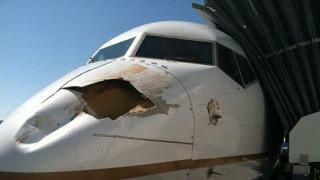 A United Airlines plane hit a pterodactyl apparently.